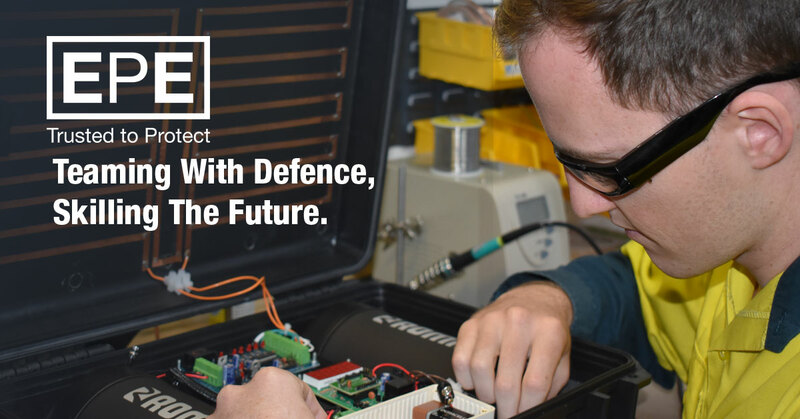 Home / EPE News / Teaming With Defence, Skilling The Future. Teaming With Defence, Skilling The Future. EPE is a proud partner of the Australian Army On the Job Trainee (OJT) Program. Our team of technicians supporting specialist Counter IED equipment for ADF offers OJTs access to unique skillsets and gives them hands on experience working in a Defence Industry facility on: FP-ECM, Robotics, Counter Drone Solutions and building specialist devices for Counter IED training. The calibre of Army apprentices placed at EPE over the past 4 years has ensured this Program has been mutually beneficial by providing training to the next generation of Defence Electronic Technicians whilst providing efficiency and innovation benefits to the company. As a result of recent Master Services Agreements with the New Zealand Defence Force, the EPE Through Life Support team has expanded and we’ve recently employed one of our past talented young OJT’s upon medical discharge from ADF.